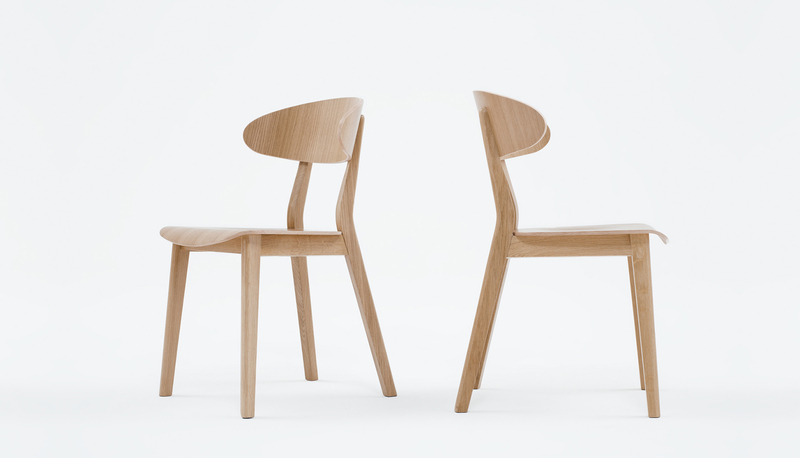 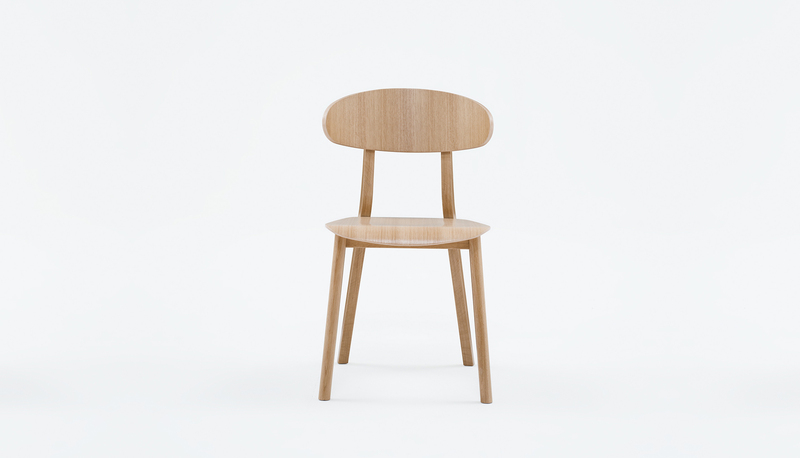 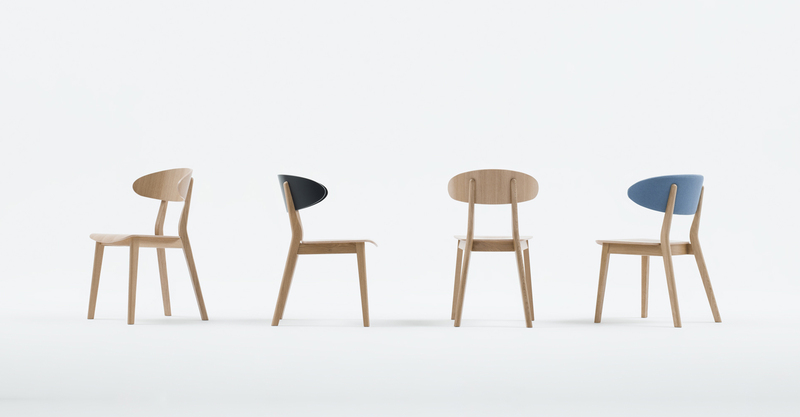 The versatile design of the chair with a system of backrests that come in three different shapes. 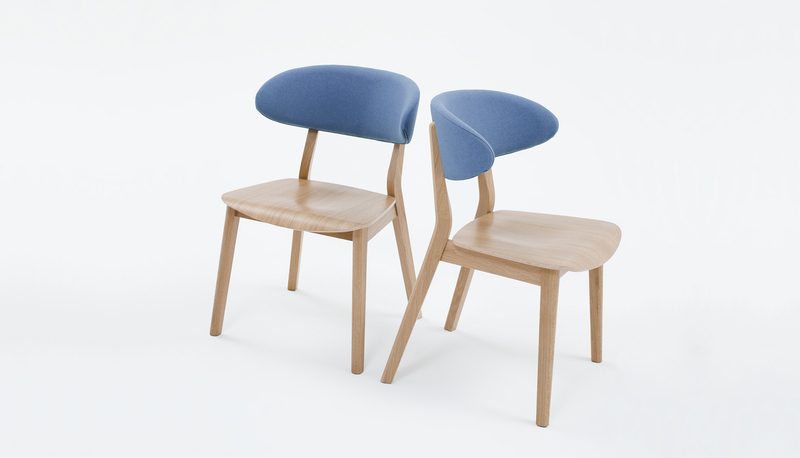 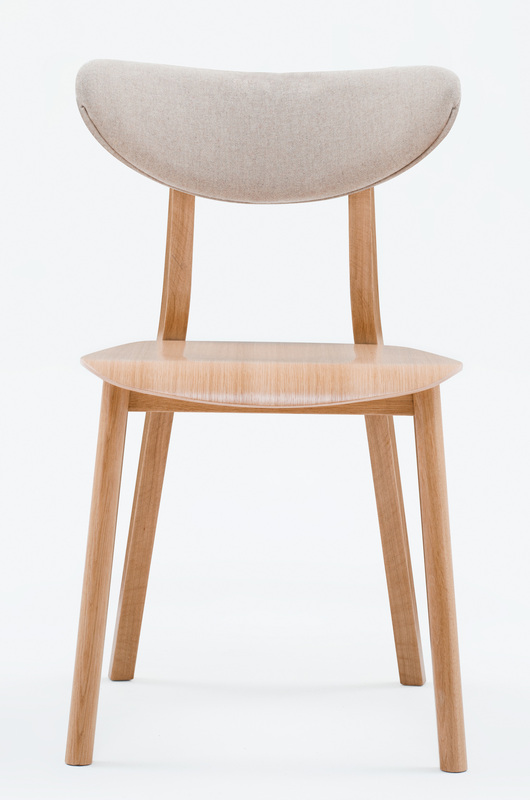 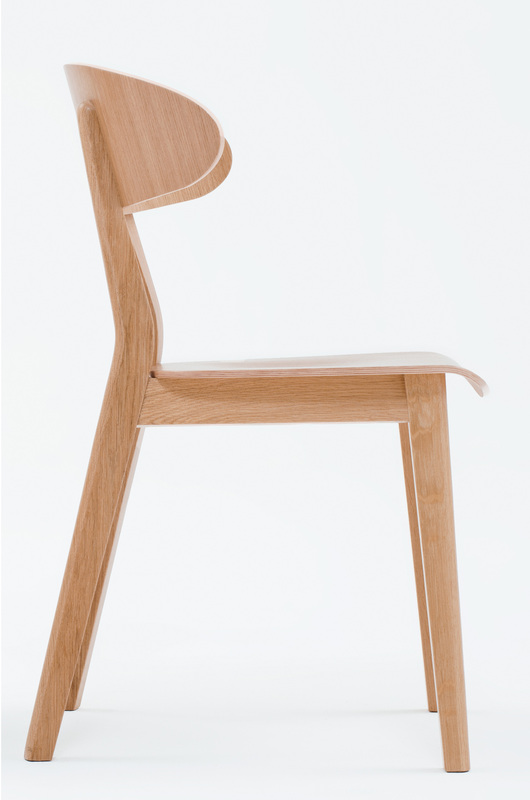 Each backrest is available in a veneered or upholstered version. 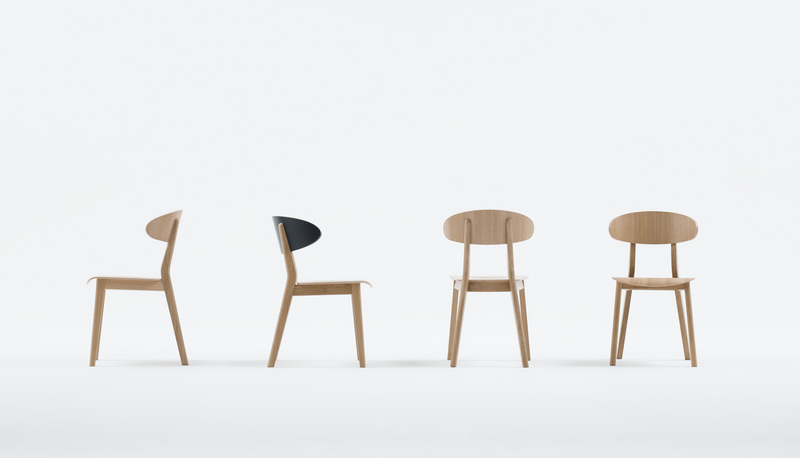 The collection also covers an armchair with a wider seat and a backrest that embraces the user in even more comfortable way.